The dress features: Back Zipper Satin waist band Detachable rose on waistband Fully lined See below for the sizing chart for this dress. 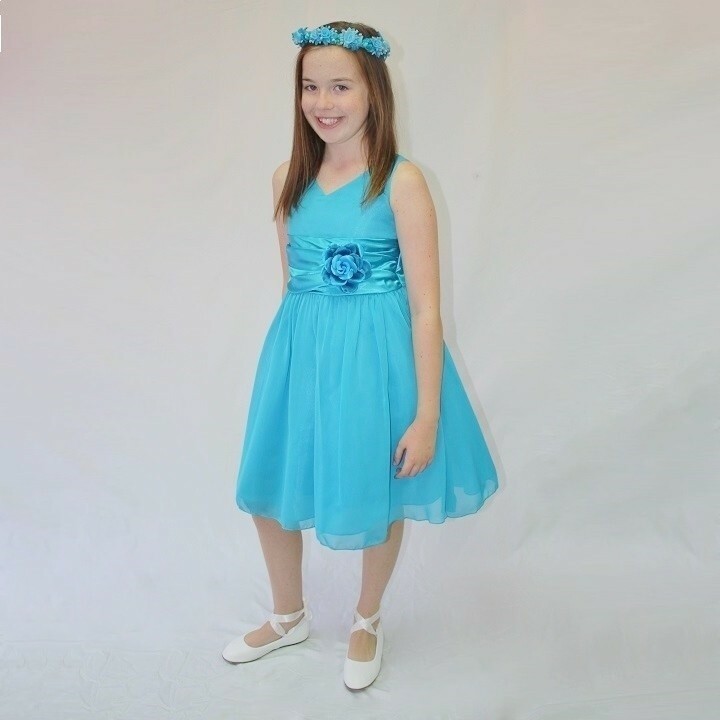 This is a gorgeous chiffon flowergirl dress available in a variety of colours. Unfortunately this is final stock... Once its gone, its gone!